In My First Summer in the Sierra John Muir recounts his early travels in the Sierra while working as a shepherd. In the summer of 1869, Muir set out from California's Central Valley with a flock of 2,050 sheep and made his way to the headwaters of the Merced and Tuolumne Rivers. 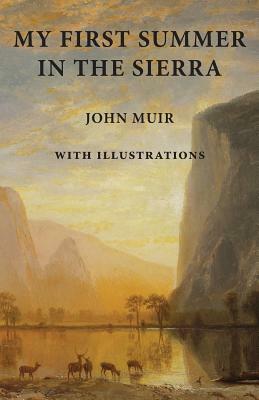 As one of America's great philosopher naturalists, Muir captures the spirit of the Sierra Nevada and brings the reader along as a witness to his great journey. He explores in great detail the mountains, meadows, waterfalls, flora, and fauna of the rich landscape that captured his heart. My First Summer in the Sierra is an excellent introduction to the writings of John Muir. This edition contains 30 illustrations.